sourced and bought from Tahiti and the warm waters of the South Pacific. It is a celebration of the beauty and wonder that can be found in the natural world. 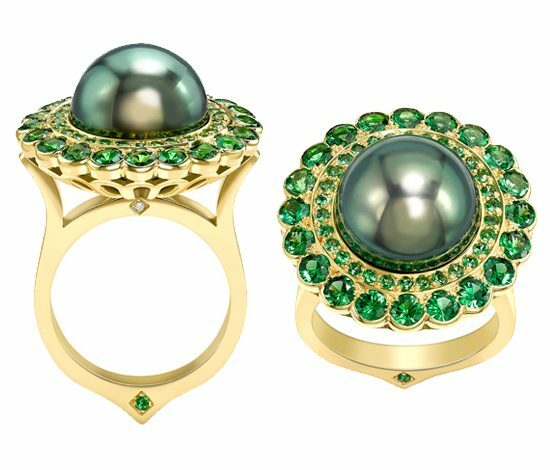 Set with a rare 14mm grade A Tahitian pearl & 2.45ct of tsavorites. 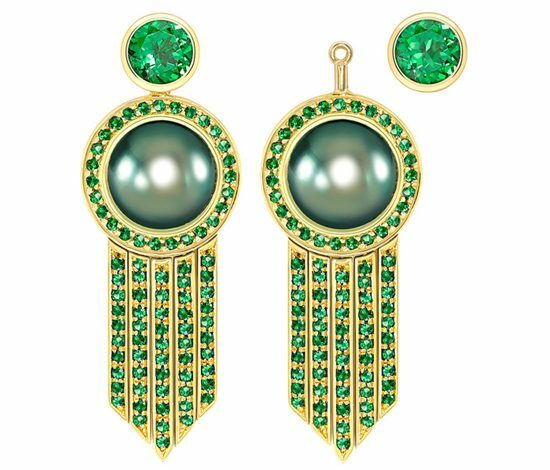 Set with a rare 10mm grade A Tahitian pearl & 2.20ct of tsavorites. 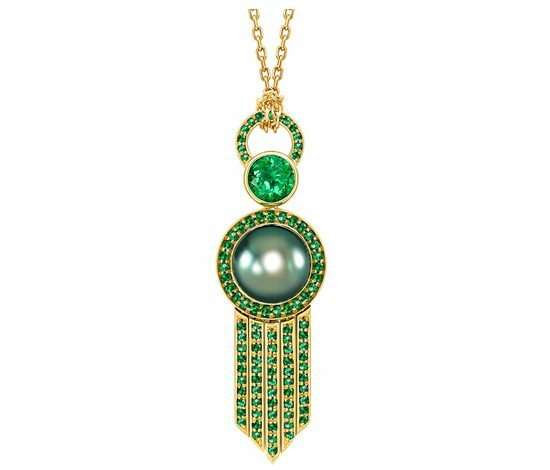 Set with two rare 10mm grade A Tahitian pearls & 3.45ct of tsavorites. 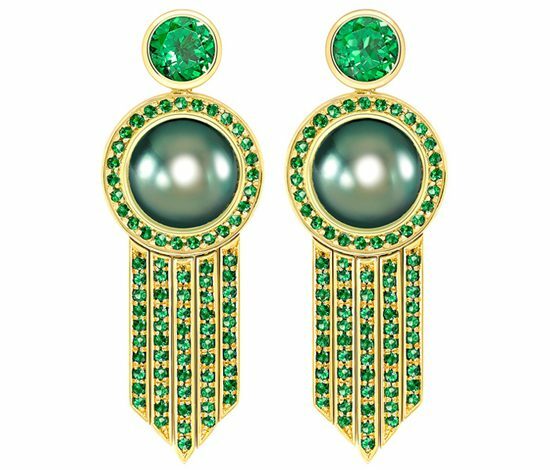 The studs are detachable so that they can be worn alone or with the drops.